John’s career as a mediator started in 1996 as a community mediator working with neighbours in dispute in Bristol. 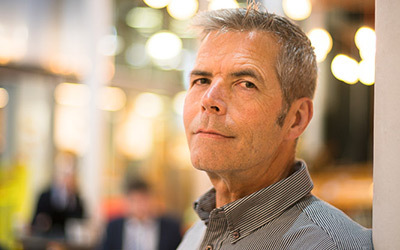 Transferring his experience to workplace mediation, following training and accreditation with CEDR, led to the creation of Mediation at Work Ltd in 2000. John has conducted over 100 workplace mediations. He is an accredited mediator with CEDR (Centre for Effective Dispute Resolution) and the ADR Group. He is also a member of CIPD (Chartered Institute of Personnel and Development), a member of the Civil Mediation Council and sat on the Board of the Council for Restorative Justice in Bristol for a number of years. John’s approach is facilitative enabling the parties themselves to create constructive ways forward whilst acknowledging the issues between them. His firm and responsive manner quickly establishes a relationship of trust with the parties. His focus is on enabling the parties to create or restore, where appropriate, an effective working relationship. John’s background in management and training, as well as his involvement with organisations large and small, enables him to relate to people at all levels in organisations. As well as working with individuals, John works with teams and whole organisations where the involvement of an independent, impartial third party to facilitate negotiations would be helpful. In 2016 John has taken the decision to step down in his role as Managing Director of Mediation at Work. John is passionate about continuing his work to create conflict positive organisations and can still be instructed as a consultant. 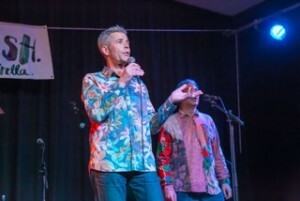 Much of John’s spare time is spent rehearsing and performing with Kettle of Fish, a six-man acapella group with a quirky repertoire and a growing reputation. Lots more information on their Facebook page and web site.